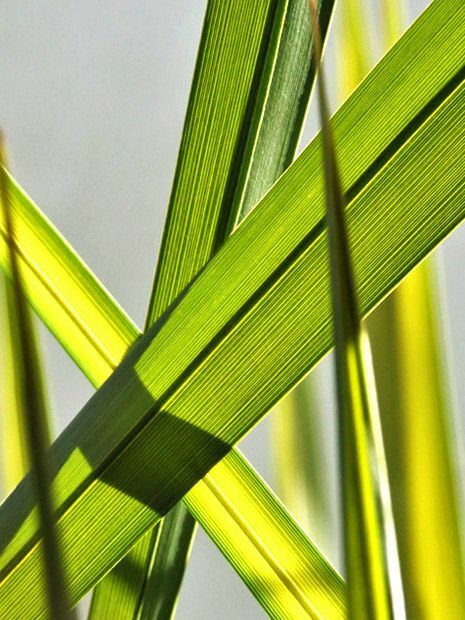 Natural foliage unveils its architecture in random and symmetrical patterns, encapsulated in effortless contours, intrinsic rhythm and textural patterns. This pure, minimalist fluidity forms an everlasting source of inspiration for all landscape garden design disciplines. 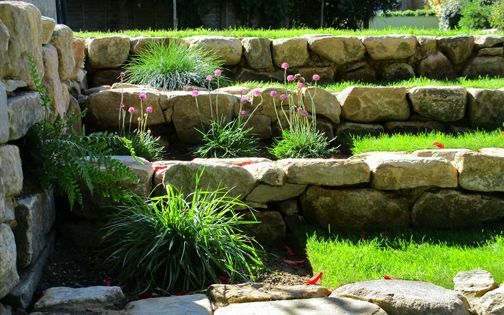 I enjoy observing the originality of ecological forms, where so often, subtle unnoticed details evoke entire designs, and infuse profound essence into creative soft landscaping. 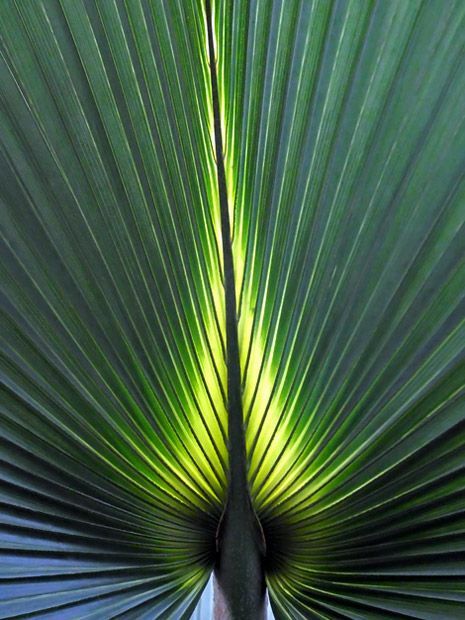 The individual midribs which compose a Jelly palm frond produce distinct linearity, augmented further in afternoon sunrays. 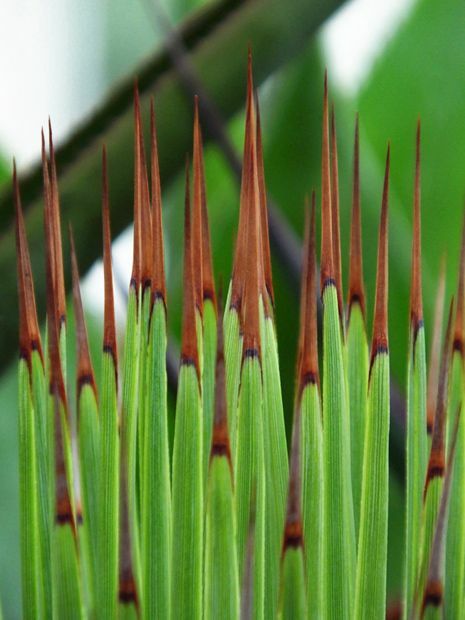 Native to South America, yet winter-hardy in most of the UK, Butia capitata is exceptionally sculptural; its breathtaking arched foliage delineated through a graceful feathery outline – defined by individual pinnate components. The aggregate of a globular outline and its inner linear elements inspires detail qualities we frequently seek to convey in a contemporary garden design, where fluid, contrasting juxtapositions elegantly narrate an outdoor space with enticing foliar expressions. 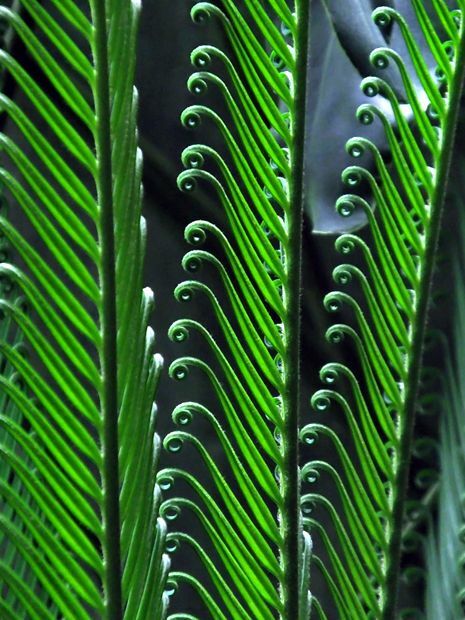 The primordial fronds of Cycads, Ferns and Palms unfurl with sheer energy, evolving into sculptural forms in maturity. The remarkable contours of the Screwpine display perfect geometry, often mimicked in art, design and landscape architecture. Even though the attributes of such species can only be appreciated under glass in the UK, the insights I find while visiting Kew Palm House replenish a long-lasting reservoir of creativity. When seeking a sculptural specimen to form a focal point in a courtyard garden design, Cycas revoluta produces winter-hardy essence in temperate climates. 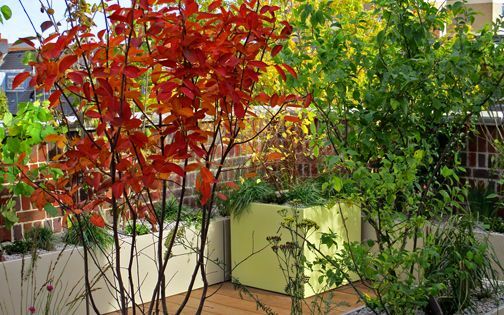 A discerning foliage selection forms a pivotal element in articulating a modern town garden design. Contrast is invariably the chief aspect of creative artistry in producing distinction, while enhancing visual fluidity. 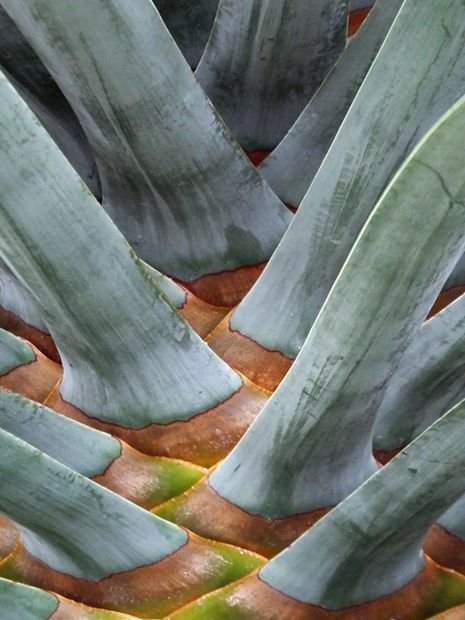 Not many trees portray such unique contrast as the Canary Islands dragon tree; its round canopy spreads above a multi stem trunk with glaucous foliage emerging from reddish nodes, contrasted by delicate white flowers. This wonder of nature generates lasting inspiration, expressing an immersive analogy, and sustains a small space garden design amid essential green architecture. 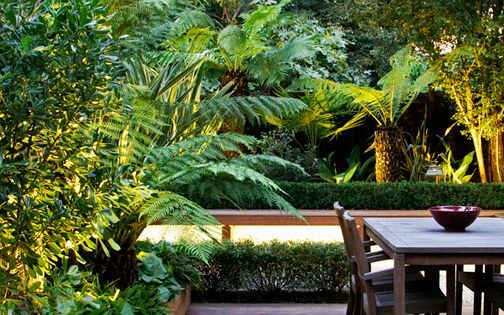 In the urban landscape, where dense shade is cast by buildings and street trees, glossy foliage produces vital reflections within shaded courtyard gardens. 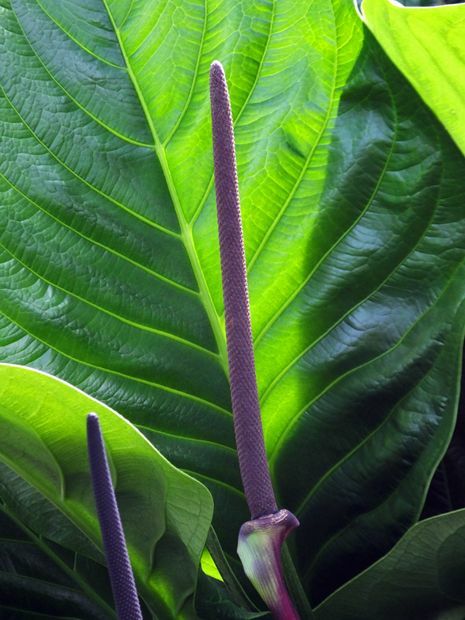 Large-leaved species form a bright, layered space as eye-level focal points, while human scale and elevated daylight enhance our well-being. 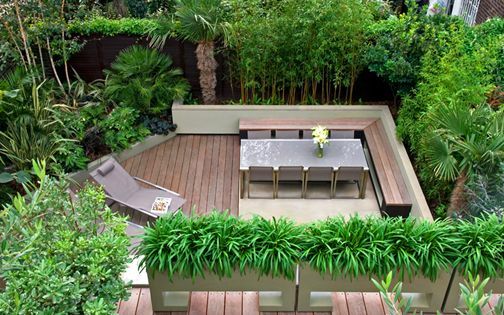 When the available outdoor space is limited, we create a garden canvas woven by smaller, glossy plants en masse to achieve a similar verdant ambience. Natural light intensifies the essence of our garden designs, shaping every surface, elevation and outline. 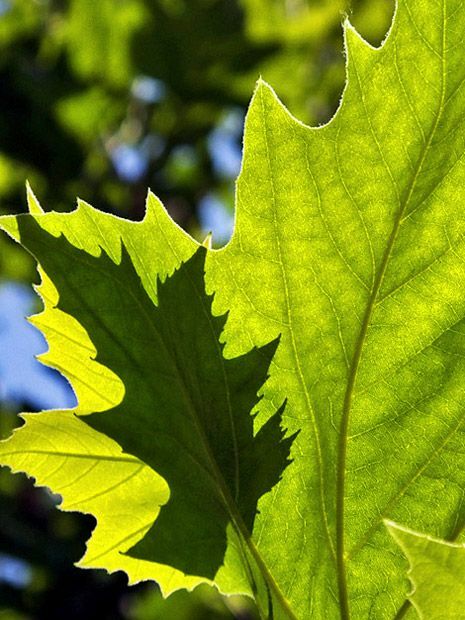 When ad hoc sunlight captures the veins of a remarkable leaf, nature magnifies the space, extending its depth beyond our expectation, and certain flora is more conducive to this changeability. 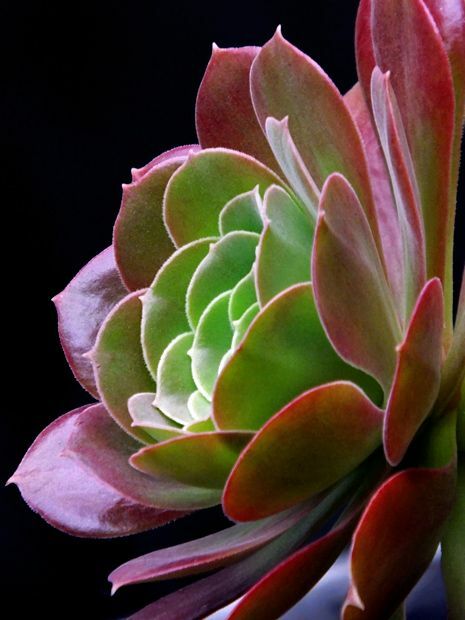 An extensive grasp of foliage characteristics, and their interplay with daylight and twilight, refines our perception of these innate nuances within immersive garden landscaping. Tactility forms one of the greatest experiences we enjoy in an outdoor space. When spring flowers have withered, the scent of summer blooms faded, and Poplar leaves descend into their winter hush, texture remains a rudimental element. Through each discovery of the enigmas unfolded in nature's cycles, we extend our study of their textural minutiae. 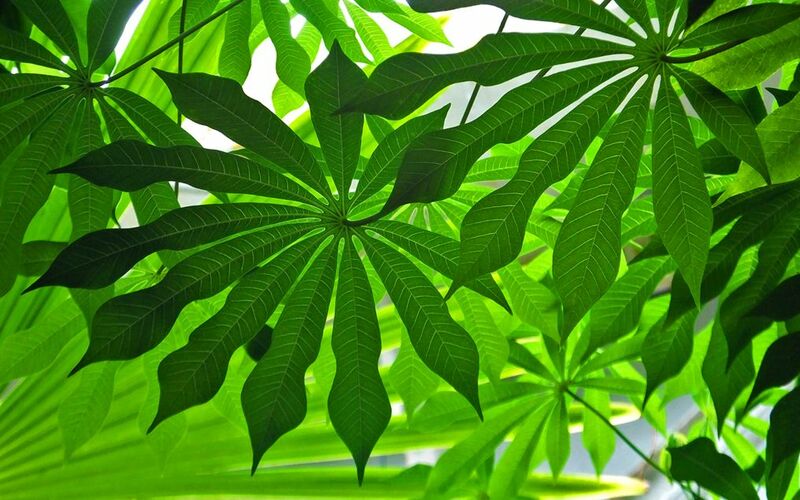 In every modern courtyard we design, the multitudes of tactile foliage amplify this essential quality. We create movement in a garden by infusing dynamic rhythm. Whether subtle or distinct, this captivating pulse permeates each layer of tree branches, planting en masse, or the outline of an architectural centrepiece. 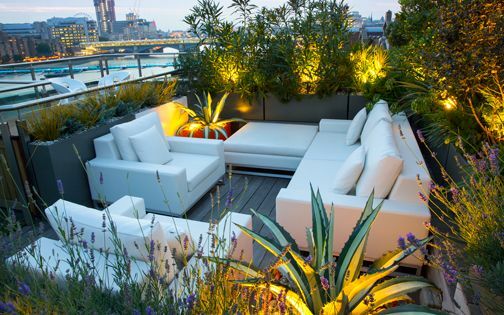 Inherent sculptural qualities capture the imagination of an abstract painter, or steer the eye towards the horizon, while for a garden designer, rhythmic compositions form a rudimental method when designing a roof terrace elevation or a landscape vista – inspiring a lifelong exploratory journey. Foliage patterns encompass each and every quality we find in the natural world, from which we derive design inspiration, and where structure unveils its intrinsic energy, while silhouettes define their niche, creating sculptural seduction. 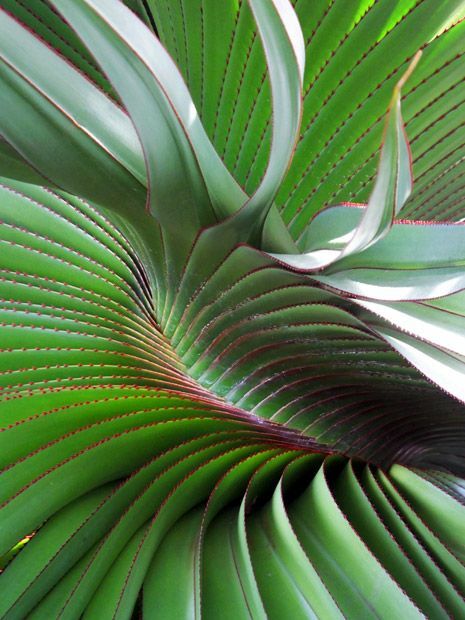 Pattern concepts form valuable techniques for garden designers by establishing distinctiveness to narrate a personal philosophy within grids of evocative patterns. 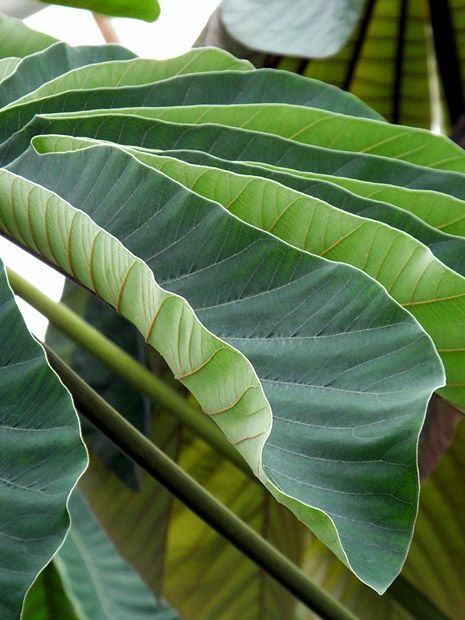 A leaf's structure contains a multitude of geometries, and to delve into its finer detail refines our notion of its intricacies by expanding our concepts within layered, softer landscape designs. Structure is at times taken for granted, overlooked, where often the accrual of its particles is bound in subtle fusion. 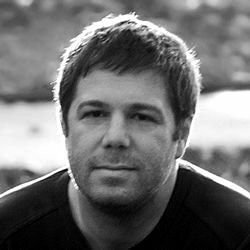 Entire foliage frameworks contain vital delicate systems, and the perception of these networks is invariably central when designing larger landscapes. We zap out nature's equilibrium with concrete and steel, while our increasingly fragile ecosystem disintegrates irretrievably, including all the distinctive creatures minding their own business for millions of years. We design and build our garden landscapes and architecture with concepts emulated exclusively from natural inspiration. 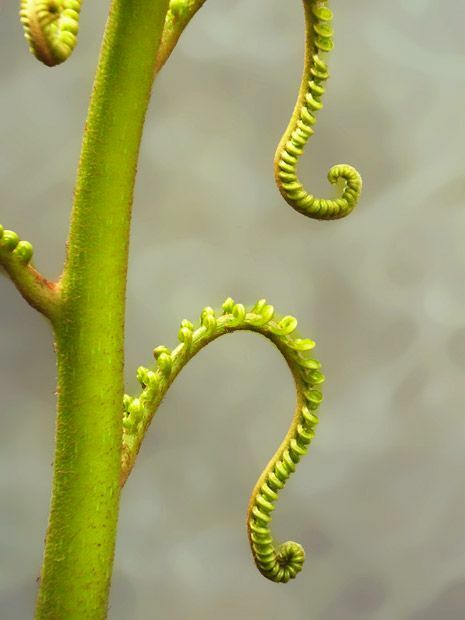 Even so, grace and elegance aren't learnt forms, but bold inherent constituents built into the DNA of each organic living thing. To perceive if only the slightest nuance of this core principle, and get to the very crux of it, well, sometimes requires divine intervention, or maybe a perennial visit to Kew Gardens! Who knows? There's so much character in a tree canopy which merely cannot be captured with a photograph, defined by the rustling of a Poplar, the crunchy ground under a Pine or the scent of a Eucalypt. 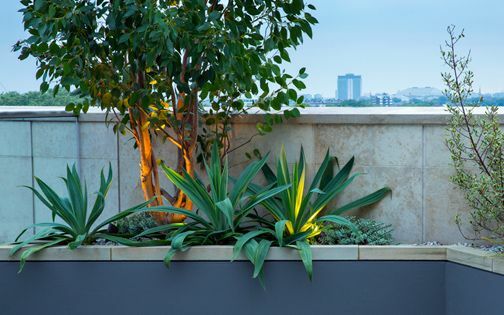 To articulate a garden design with architectural foliage is to create a diverse and purposeful outdoor space, where sculptural interlayers redefine our personal, intimate environment. 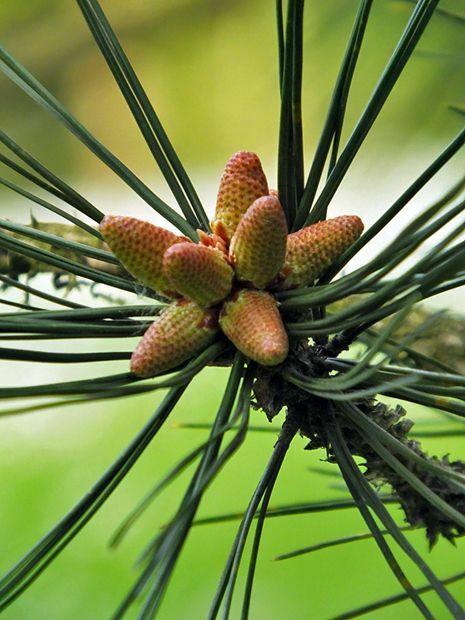 Leaves, needles and fronds remain the most consistent and harmonious elements in our wild, and tamed gardens, whether utterly natural or as ingredients of a thought-out master plan – forming a soft, verdant overlay above the landscape.